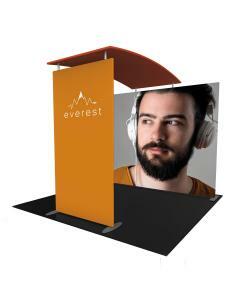 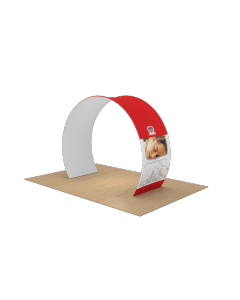 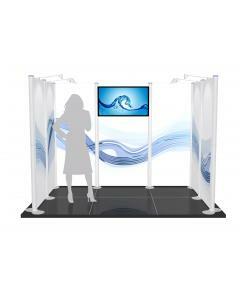 This 6x3 modular exhibition stand system includes a double sided custom printed archway and a lockable walk in store in the corner. 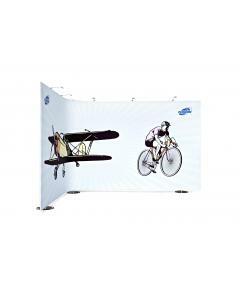 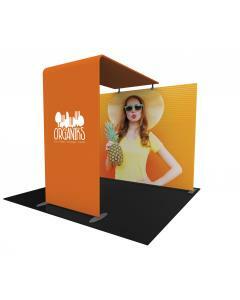 The store stands tall at 4 metres providing your brand with that all important high-up marketing space. 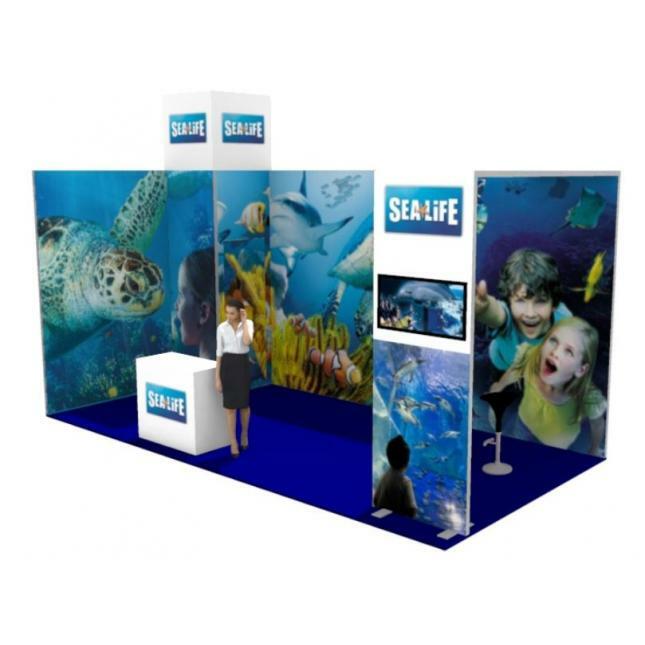 The rest of the stand is 3 metres high, including the impressive walk through arch which extends across the majority of the 3 metre depth. 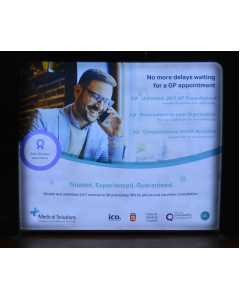 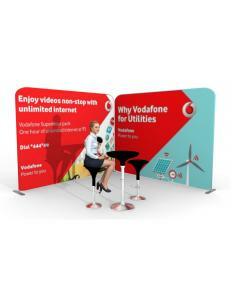 The modular exhibition stand system is made from high quality UK manufactured aluminium lengths, with sold aluminium posts and sturdy flat profile steel feet. 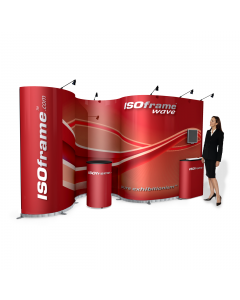 The system is suitable for self-building and the lengths measure 1 metre long, allowing it can be broken down and packed into a wheeled case. 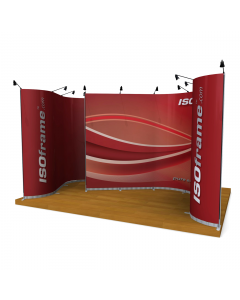 Silicon edged tension fabric graphics clad every wall and both sides of the archway to create a seamless and high quality large format print display. 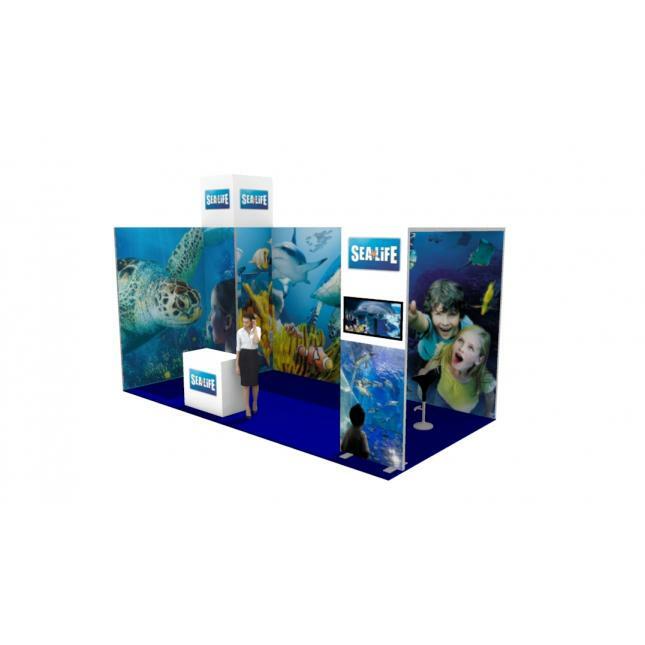 This modular system is designed for flexibility and can be easily extended or reconfigured for when you want to use it for a different event and stand space. 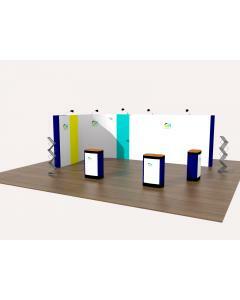 In the design and build process we can ensure we take account of future use when we create your stand. 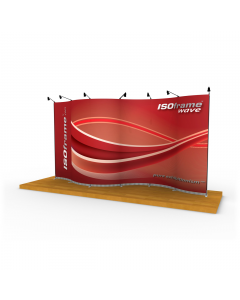 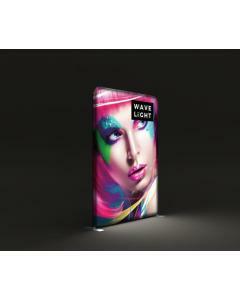 Fabric graphics can be replaced when it is time to update your message or marketing campaign. 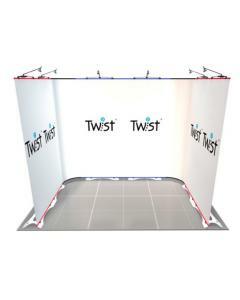 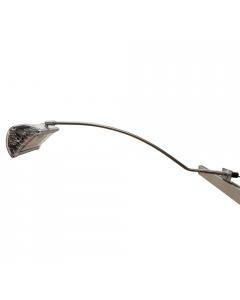 Can be acessorised with a TV mount and counter / reception desk. 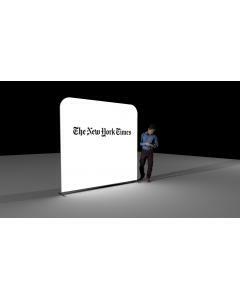 Please see drop down options. 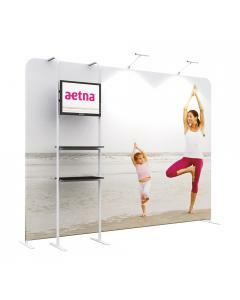 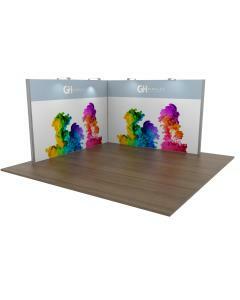 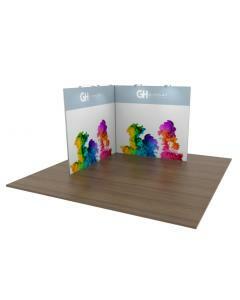 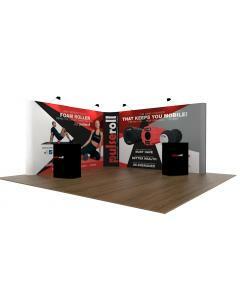 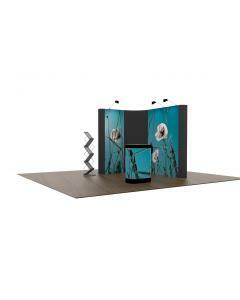 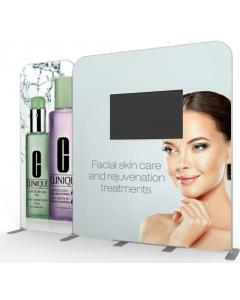 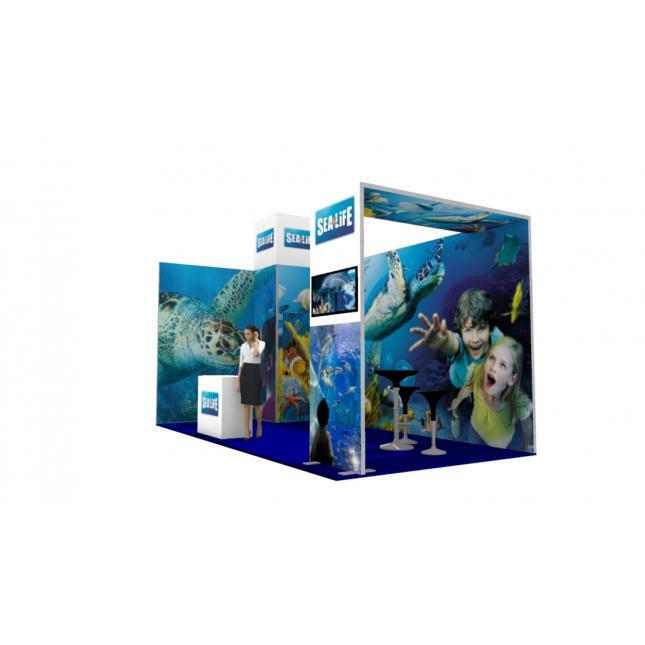 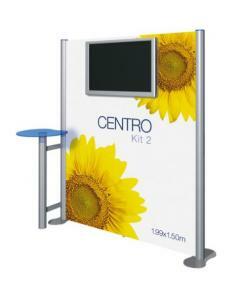 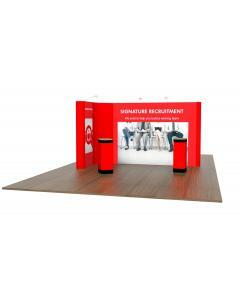 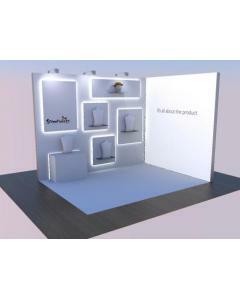 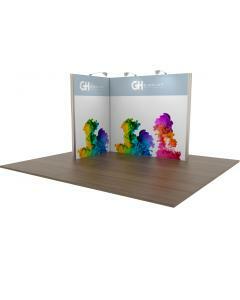 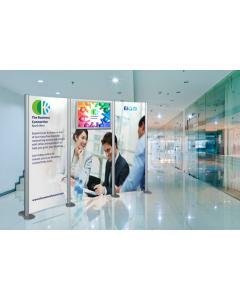 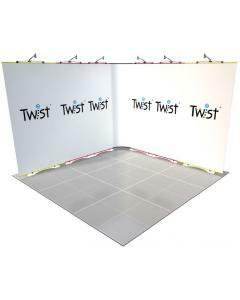 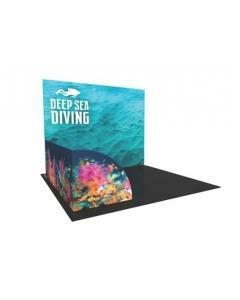 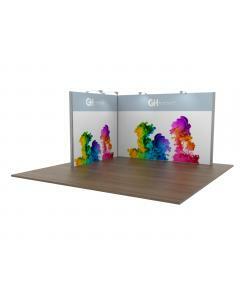 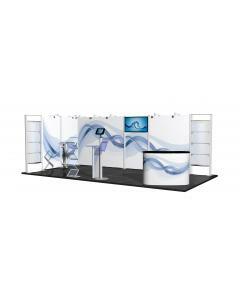 Why choose the 6x3 Modular Exhibition Stand with Arch and Store? 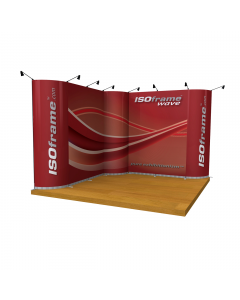 Contact us on +44 (0)1733 570222 for a graphic template.